We knew Will Forte’s character couldn’t be the bad guy forever. Eventually, “The Last Man On Earth” was going to show more than a glimpse of heart and become a hero. That change has been a focus of this season and, in the latest episode, things went even further. Now that it’s happening though, I’m not sure I like it. This week’s episode, Baby Steps, focused on how the group dynamic had shifted after Phil decided to leave, professed his love for Carol, and then was told he was the father to Erica’s baby. Now everyone hates Phil, which Tandy and Carol see as an opportunity to get Tandy back in the group’s favor after constantly screwing them over last season. Here’s the problem. I don’t want Tandy to be the good guy and Phil is not a good bad guy. Phil is kind, likable and while he’s thick-headed and overly macho, he’s a very easy person to like. Tandy, on the other hand, is the person you love to hate. A person who always does the wrong thing, even when he knows it’s the wrong thing. He’s not even a terrible person, he’s just conditioned himself to do the worst possible thing. Which is why the show is so hilarious and brilliant. So during the course of this episode, as we saw Tandy milk his injury for sympathy, go on errands for the group, and eventually sympathize with Phil, it just didn’t feel right. In the end, he literally saves Phil’s life and puts him in a position to gain the group’s trust back. Tandy is the hero, and he doesn’t even want credit for it. That’s not the Tandy we know. However, it’s important to remember this is The Last Man on Earth we’re talking about. 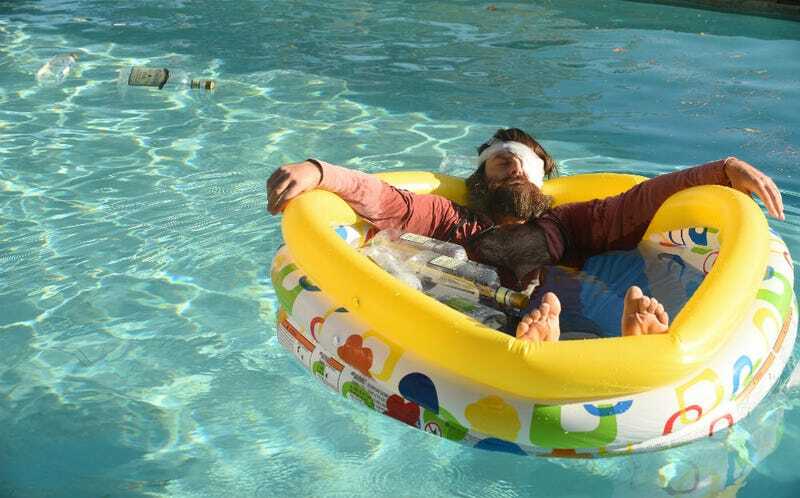 And The Last Man on Earth with a sympathetic, sweet lead character is not the show we’ve all come to know and love. I feel like the writers and producers are just setting us and the characters up for a catastrophic reveal that Tandy is still the horrible, hilarious person we watch from between our fingers. At least, we hope so.